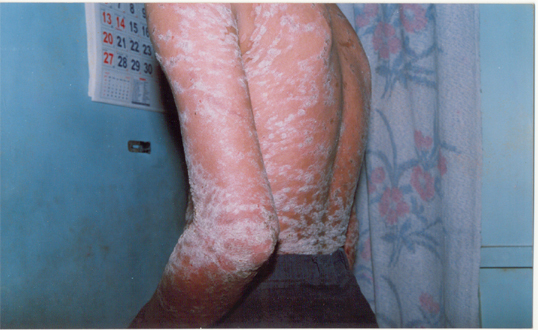 Psoriasis is a challenging disease to the medical fraternity. Homoeopathy has shown its efficacy in curing the illness permanently, had been proved clinically with evidence based papers and photographs. 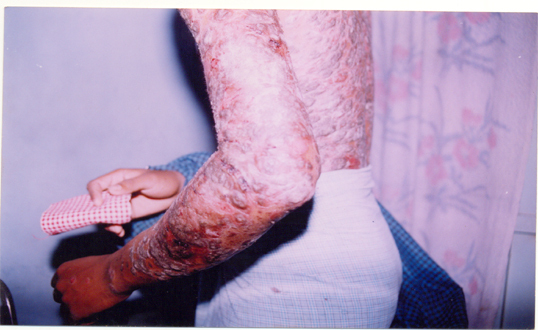 Dr.P.Victor Dass, a young dynamic practitioner had produced a wonderful result over cure for psoriasis. 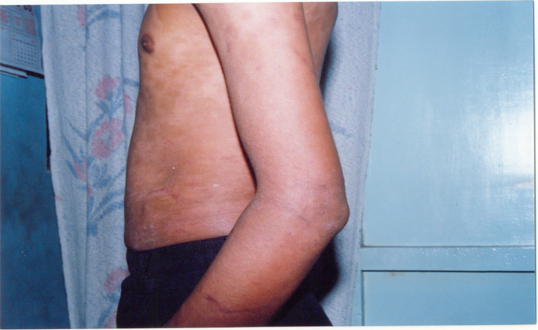 A boy, aged 21, who was suffering from psoriasis since 10 years, was brought to my clinic. The lesions were scaly, dry, rough with parchment, located upper part of the trunk and both extremities. The patient already been under the treatment of various systems of medicines, got fed up, finally had chosen homoeopathy. The patient is thin, tall, clean, dark complexion. He worried about his illness always. Better A photograph was taken.